A website that allows you to track which movies/episodes you've watched, games you played/finished, albums you've listened and comics you've read. Metadata is automatically retrieved/updated using APIs from TMDb, GiantBomb, Spotify and ComicVine. A website that lists all Magic the Gathering cards in existance, and allows you to keep track of the cards you have/want, and the decks you have/want to create. 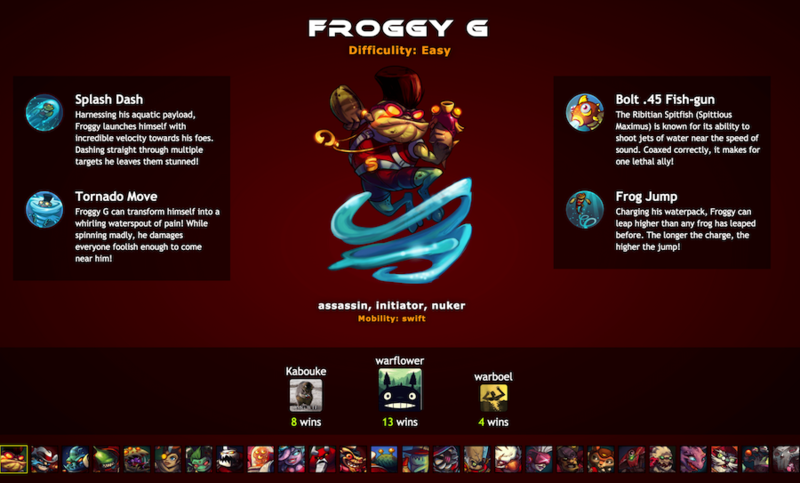 A small simple website showing leaderboards of friends/colleagues in my Steam list that play the game Awesomenauts.